About Us - MacHardy, Alexander & Whyte, W.S. MacHardy, Alexander & Whyte, W.S. Our Firm is one of the longest established in the area with Alexander MacHardy commencing practice in Forfar as a Solicitor in the 1870s. He was also Town Clerk of the Old Burgh of Forfar for many years. Later he was joined in partnership by James L. Alexander and William Whyte, who is the grandfather of our Senior Partner, Nicholas D. Whyte. William Whyte, in addition to being a solicitor, was for many years the Town Clerk and Manager of Clydesdale Bank. 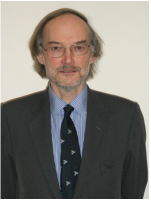 He was joined in the firm in 1951 by his son, Douglas Whyte, who was senior partner until his retirement in 1990. Nicholas D. Whyte, LL.B. (Lon. ), LL.B., W.S., N.P. Nicholas studied at University College, London where he obtained an honours degree in law. Subsequently, he studied at Edinburgh University where he obtained a degree in Scots Law. In 1976 he qualified as a Solicitor after completing an Apprenticeship with Gray, Muirhead and Carmichael, W.S., Edinburgh and became a Member of the Society of Writers to the Signet. He is now the Senior Partner of our Firm. Nicholas is responsible for all Agricultural and Commercial work as well as Trusts, Wills, Executries and Tax and Financial Planning. Hamish studied architecture at Edinburgh College of Art, graduating in 2005 and passing his Architects Registration Board Examination in 2007. Hamish worked as an architect in Edinburgh until 2010 when he enrolled on the Dundee University accelerated LLB. He completed his Traineeship in 2015 and is now responsible for estate agency, residential conveyancing, Wills and Executries. Hamish is also a member of the Society of Writers to the Signet. GORDON R. SEATH LLB (HONS. ), Dip. L.P., N.P. Gordon studied at the University of Dundee, obtaining his Diploma in Legal Practice in 1989. He qualified as a solicitor in 1991 and has since mainly undertaken private client work and is experienced in dealing with residential conveyancing, executries, power of attorneys and wills. ​Tina studied at the University of Dundee, graduating with an honours degree in Scots Law in 2003. She obtained the Diploma in Legal Practice in 2004 and completed her traineeship in 2006. Tina is our Court Solicitor. She has worked in private practice and in the public sector gaining experience in family law, child law (including child protection, permanence and adoption), debt recovery, licensing and adults with incapacity work. Tina is a Notary Public. Nicholas, Hamish, Gordon and Tina are assisted by our dedicated Support Staff. Vikki Christie is our Legal Cashier and as well as facilitating the general day to day smooth running of the office, Vikki also deals with Trust and Executry accounts, rent and insurance receipts and some tax matters. Pauline Hay is our Executry Paralegal and handles the administration of executries, including the ingathering of information and the completion of the inventory of the estate.